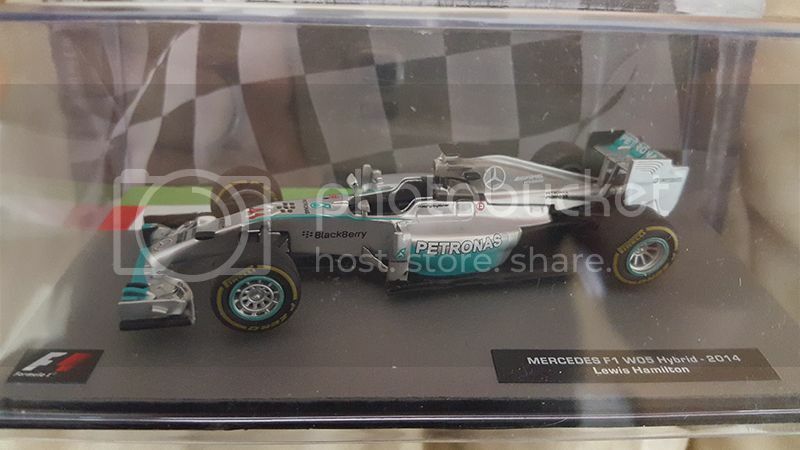 Don't get many 1:18 models, but as a long time fan of his and Ford, decided to get one for Mark Winterbottom's first championship title in 2015. Made by Apex. Edited 1 time(s). Last edit at 04/04/2016 11:37AM by SchueyFan. 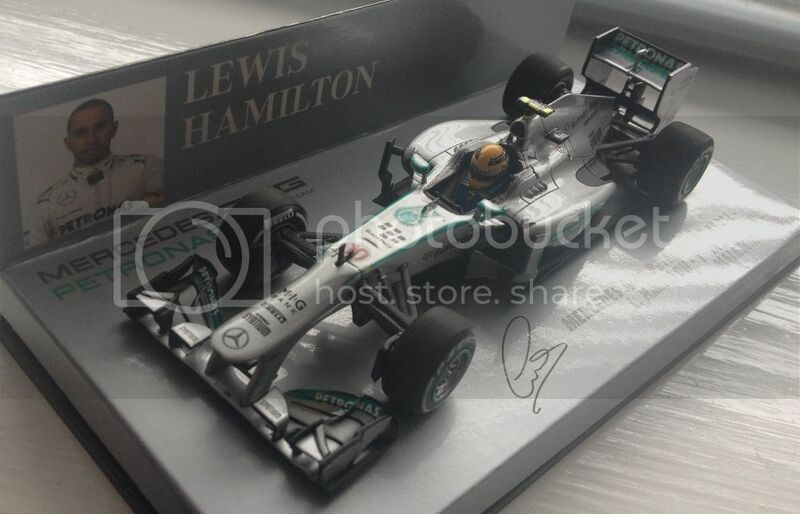 Saw adverts for this (F1 Car Collection) over the coverage of the Chinese GP. £9.99/issue and they're planning 60 issues. Totalling around £600 at the end of it. I got part 1, probably will get part 2 if i see it in the shops (Lauda's '77 Ferrari), but i think £9.99 is a bit steep given the relatively low quality of the models. 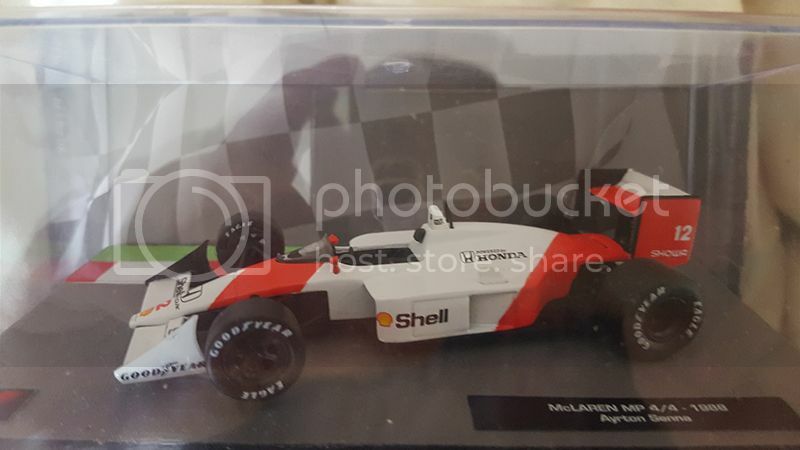 I think this would be a good opportunity to get into model collecting for newcomers to F1 though, as Minichamps prices have skyrocketed in recent years. Some quick pics, not the best from my phone but they'll do! They look pretty awesome actually. The Williams could use some extra stickers, looks really empty. Otherwise they are really cool, maybe not Minichamps cool but worth the purchase. Looks nice! I remember they did a similar Ferrari collection here a few years back. Is there a list somewhere of the entire collection they plan to release? I couldn't see it on the website beyond about 10 cars or something. Edited 1 time(s). Last edit at 06/22/2016 06:55AM by SchueyFan. There's going to be a minimum of 60 in total, one car from each year (either world champion or most "evolutional and defining" car of that season). Edited 1 time(s). Last edit at 06/23/2016 01:26AM by madotter. The Lotus 72D of Emerson Fittipaldi from 1972 and the Ferrari F2002 of Michael Schumacher from 2002 are next!! Edited 1 time(s). Last edit at 06/25/2016 06:22PM by madotter. Three more arrived at my door this morning! Edited 3 time(s). Last edit at 07/07/2016 12:51PM by madotter. Those models are actually pretty damn cool! Converting them to tobacco liveries makes them even cooler, so congrats Iain! 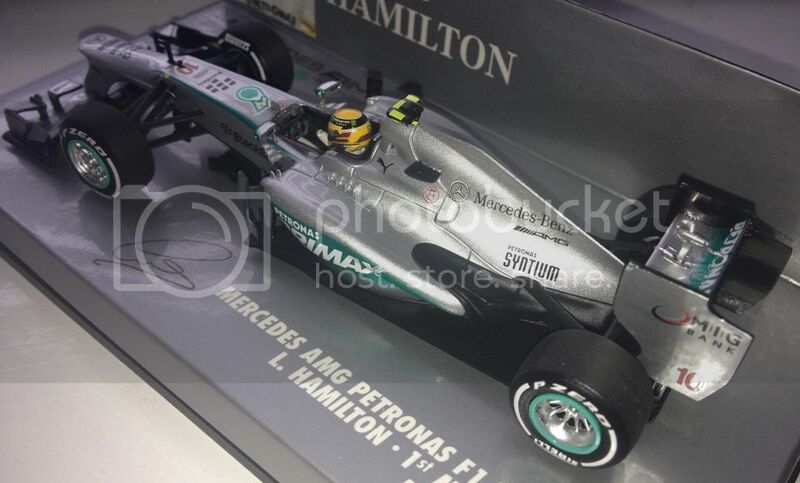 General question, is there any webpage (aside from eBay) which ships Minichamps models internationally? Specifically the 1/43 models. Surprisingly, they are difficult to find in Amazon, and I don´t trust eBay particular sellers very much. I'd honestly prefer a retailer. 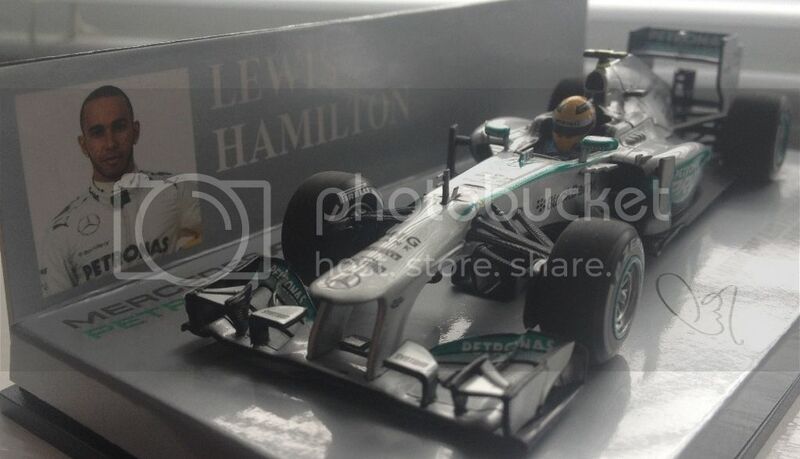 I have this site, Die Cast Models Wholesale, which has Minichamps 1/43's but not F1 models in that scale. And while 1/18 models are lovely, they're expensive and heavy, thus increasing the shipping exponentially. Anyway, thanks in advance for the info. Try Toronto Motorsports, I've used them many times over the past 10-15 years shipping from Canada to me in the UK. They sometimes have sales and they also sell tobacco decals to convert your models. I was sceptical about this partworks model collection but some of them do look decent quality, especially once converted to the tobacco liveries. I have most of the models featured so far in my collection so I haven't bothered apart from issue 1. But at £10 per issue they seem good value for a new collector or to fill in gaps in your collection, considering the massive price hike Minichamps have taken over the past few years. Edited 1 time(s). Last edit at 07/05/2016 08:37PM by Muks_C. > also sell tobacco decals to convert your models. > Minichamps have taken over the past few years. 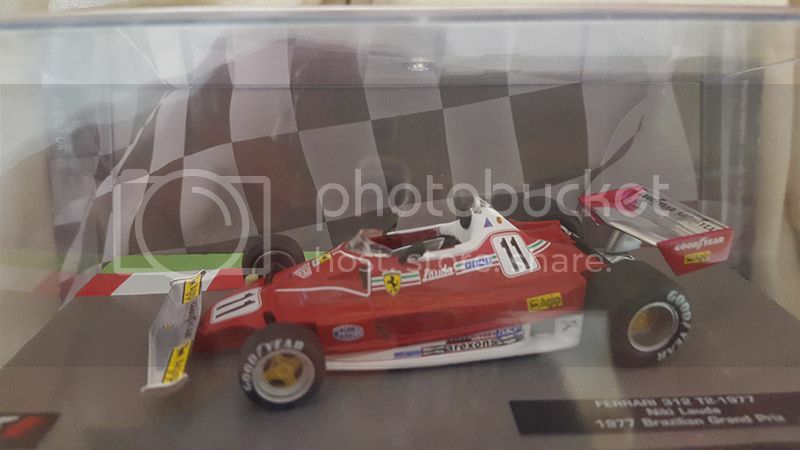 I, as many of you know or remember sold all my minichamps models a few years ago and just wanted to focus on getting Ferraris with no drivers. I gave up on that as LaStoria will never finish releasing the extras needed to make a full collection. 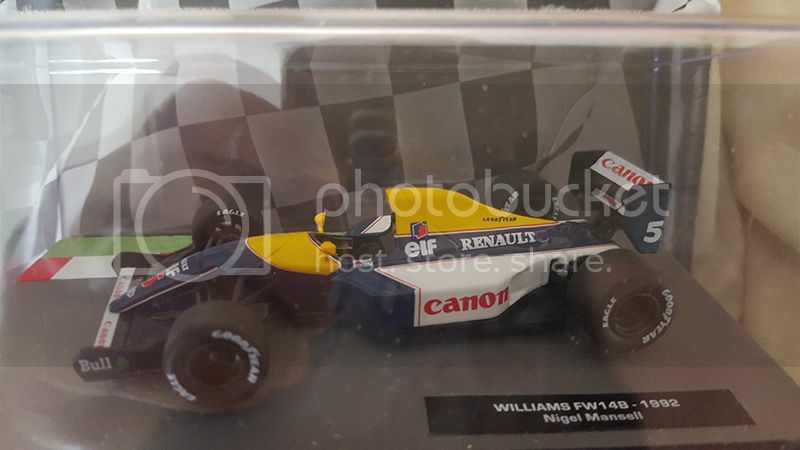 The price of them now shocks me, I literally remember paying £16.99 for 1/43 and 34.99 for 1/18 (from the F1 store in High Wycombe back in the late 90s). When the collection got announced I instantly thought they would be terrible as they are only £9.99 an issue but I liked the idea of having the car of each world champion from each year. When I got the first four I was shocked, sure they're probably not as perfect as Minichamps but for the price it's hugely better value without a huge quality drop. I never had the nerve to deface a MSC collection by adding tobacco but these really benefit from them. So far I am so impressed with them and can't wait until they release the special display cabinets to show them off. 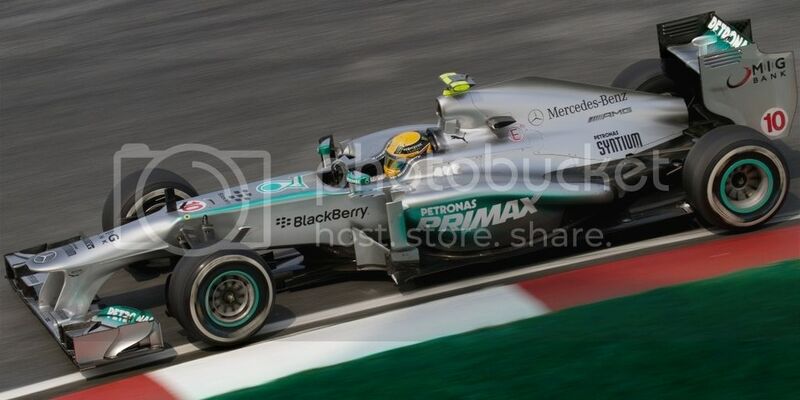 Cars look much more real with the tabacco liveries. So nice conversions you made. Why don't they sell the black 72 Lotus in pink? That will look just as wrong as their model without the iconic JPS sponsorship. 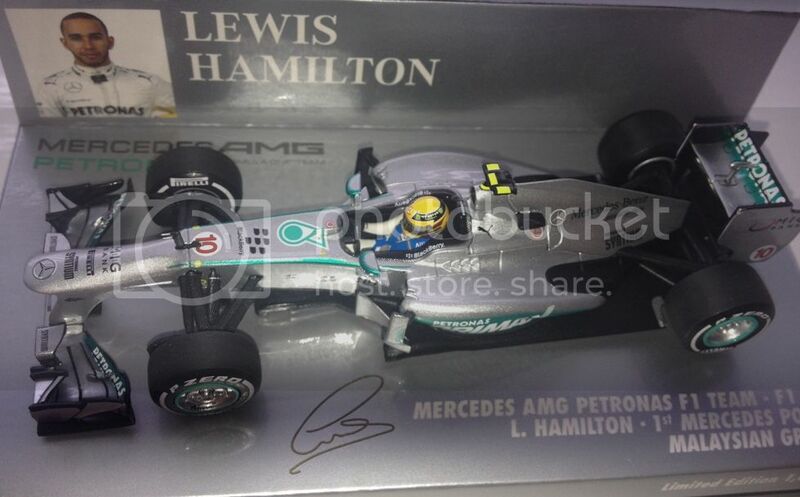 The only downside for me is that the cars of this collection come without driver / helmets. 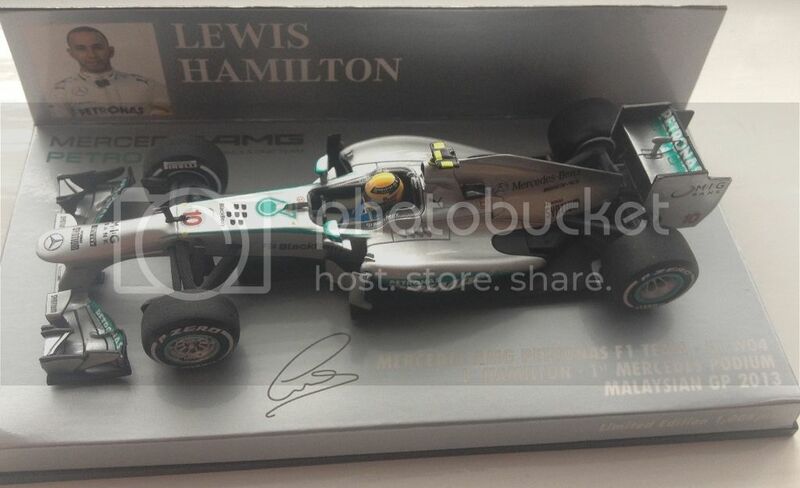 I don't see the point of a World DRIVERS' Champion model without a driver in it. BTW: If they really install the "Halo" device next year, I will quit my collection and sell everything on Ebay. My complete series of 1950-2015 WDC cars + some special cars. Edited 1 time(s). Last edit at 07/11/2016 01:38AM by Bruno. Why don't they sell the black 72 Lotus in pink? That will look just as wrong as their model without the iconic JPS sponsorship. Edited 1 time(s). Last edit at 07/11/2016 03:40PM by madotter.